COME JOIN OUR 3RD ANNUAL WALK IN KELOWNA WE ARE WALKING FOR A WORTHY CAUSE!! MAKING A DIFFERENCE FOR THE CHILDREN OF LIBERIA, WEST AFRICA. All proceeds go to help orphan children and youth GO TO SCHOOL. FREE HOT DOGS, DRINKS + COOKIES! PRIZES FOR PARTICIPANTS WHO BRING IN THE MOST DONATIONS. Last year we funded 150 students to school! We also funded university students, who are among our top LEADERS OF INTEGRITY in this nation. Our total Education Budget for 2013 is $60,000. 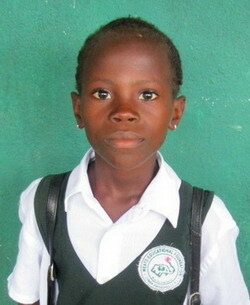 For many children in Liberia, going to school is only a dream. Education brings HOPE and A FUTURE to a child or a youth. “I was there again this past year and could see the difference we are making in a land where war has destroyed so much. We are helping to rebuild this nation and EDUCATION is a major KEY to opening up so many DOORS OF OPPORTUNITY. says Karen Barkman, CEO of Provision of Hope, Liberia, Inc.